In a bowl, mix brown sugar, butter, lemon juice and cinnamon. Brush mixture over both sides of pineapple slices. Grill pineapple over high heat for about one minute on each side, until golden. Remove each slice to a dessert plate. 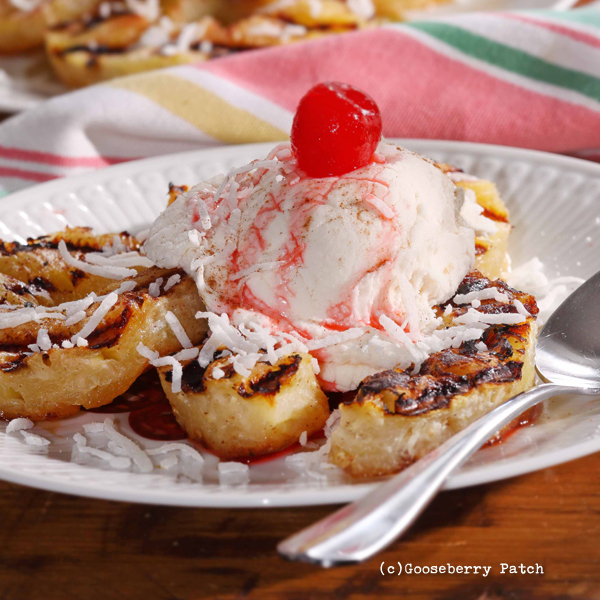 Serve warm, topped with a scoop of ice cream, a sprinkle of coconut and a maraschino cherry. Serves 4 to 6. Enjoy this recipe from 150 Backyard Cookout Recipes originally published 6/1/2017.